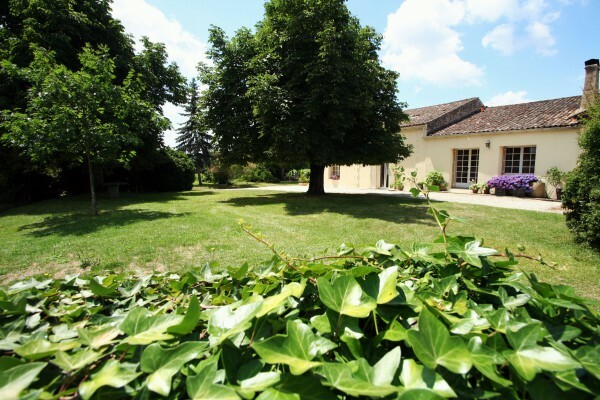 At only a stone’s throw away from Saint-Emilion and the verdant Dordogne valley, this 19th century former winery welcomes you for a charming holiday in the heart of the Bordeaux vineyards. In all 3 spacious bedrooms, each with private terrace overlooking the garden and vineyards, you’ll find a harmony of contemporary comfort and historic details. Pamper your senses at our generous breakfast buffet with homemade and local products. Check out Bleu Raisin's website for more details. All rooms are equipped with a comfortable 160cm double bed, ensuite bathroom with Italian-style shower, toilet, flat screen TV, hairdryer and free wifi. A charming place to stay. Warm welcome by the owners, a beautiful, comfortable and spacious room and a magnificent setting amidst the vineyards. We'll be back ! 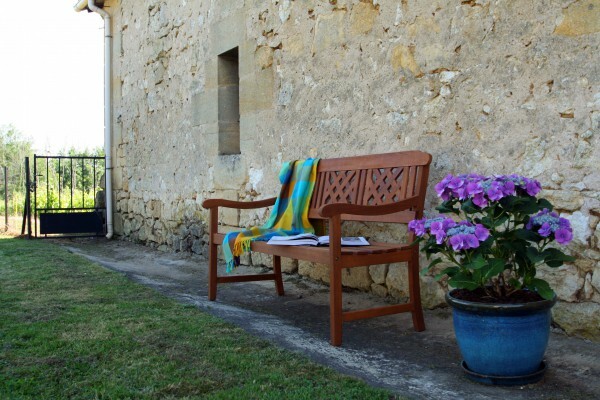 Did you stay in Bleu Raisin Saint Emilion? Let us know what you thought about it and help others to make the right choice! * I confirm having stayed in Bleu Raisin Saint Emilion. 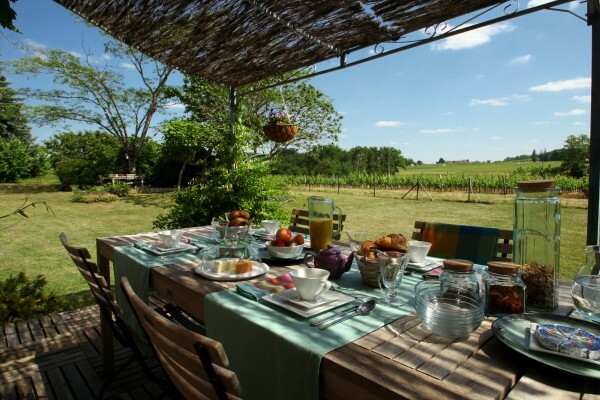 Find other bed & breakfasts in Les Salles-de-Castillon, all bed & breakfasts in Gironde or all bed & breakfasts in Aquitaine.